The insertion of hair-thin needles into over 2000 energy points to bring the body’s energy system back into balance and eliminate pain. Our needles are composed of surgical stainless steel. They are sterile and are only used once, then incinerated. There is no chance of cross infection. These needles are very thin; about the thickness of a hair. We can put 15 acupuncture needles into the tube of a blood draw needle. (There’s one in our office for you to see.) After insertion, the needles remain in place for about 15-30 minutes or longer depending on what we are treating. Most people have little sensation of the needles. Some feel a prick on insertion while others feel nothing at all. 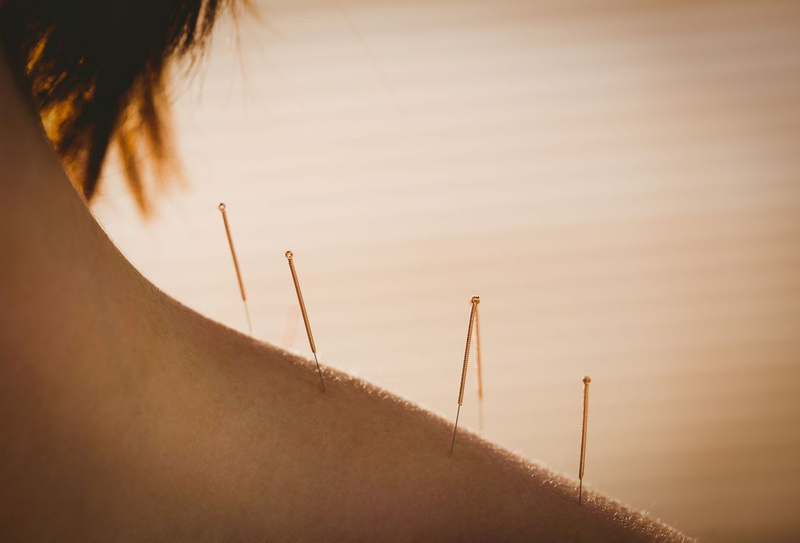 The function of the needle is to stimulate the acupuncture point. Different acupuncture points have different functions. Stimulating an acupuncture point creates a shift in the energetic flow in the body. This shift affects the energetic pathways as well as the organs.